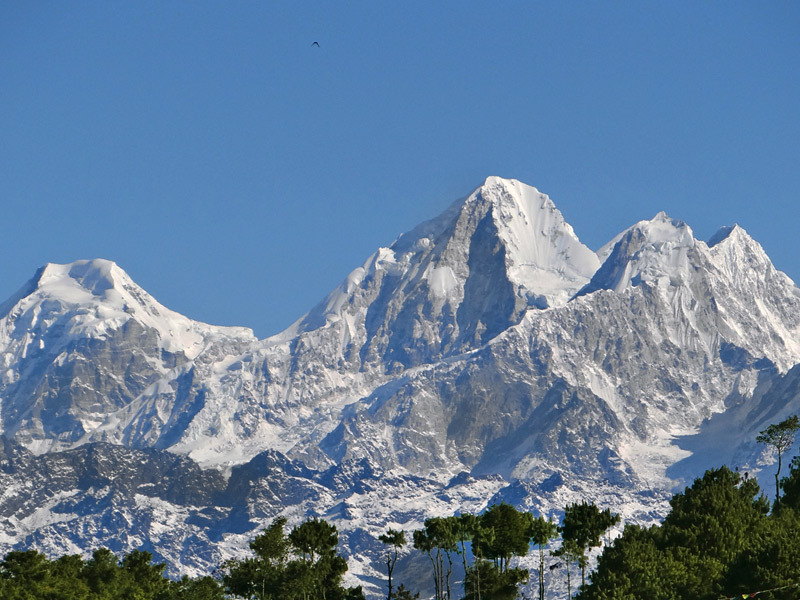 Chissapani Nagarkot Trekking is one of a preferable trekking trail of Nepal, as it is known for the short and simple hiking trail that is nearby the Kathmandu valley. This is also the peak place to pack your joy and relief, by viewing those mountains surrounded almost closest to you. 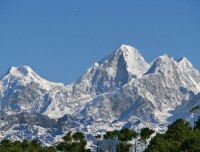 Dorjelakpa, Gaurishankar, the Langtang range and Everest are mostly attractive sceneries that can be captured from here. This Chissapani Nagarkot trekking trail is really fabulous and wonderful places to explore and to get satisfied through its mesmerizing view within the very short duration. The enjoyment of the journey begins when you step up the way of isolated nature, leaving the crowded city at once. This trekking can be the golden chance to fulfill your desire as it tends to offer the view of spectacular mountains, the lifestyle of charming villagers and their culture. The sunset and sunrise view is an extremely beautiful aspect of this tour and then from Nagarkot, you can have this beautiful and fascinating view. You can also bend your journey to another religious place out there namely Changunarayan temple. This place is worth to visit because it has been listed in the world heritage site and has carried lots of significances. At the beginning of the day, we take the drive from Kathmandu to Sundarijal of about 1 hour and move ahead to our destination to a Chissapani ridge that almost takes 5 hours to reach. The way is all about the jungle and sometimes throughout some ethnic settlement. Day 04:Transfer to airport for your final departure!!! Private vehicle service for arrival and departure. Kathmandu- Sundarijal, and Changunarayan- Kathmandu by private vehicle. Lodging and food service during the trek. Well- experienced guide with fluency in English along with first aid and eco training. Some specify helper and regarding charges. All taxes, including local and government. Any other costs which are not included above "Cost Include" section. Day 01Kathmandu to Chissapani (2300 meter) 6 hour walksAbout one hour drive from Kathmandu to Sundarijal, you’ll then set the way of your destination to Chissapani. After four and half hours of ascending walks the trail left you to your destination for a while. As the way also gives you some rest with its horizontal trail in the midst of your way. The trail is not too tough so you feel comfortable along the whole journey. There you pass through Shivapuri watershed and wildlife reserve, some Tamang community and the forest of oak and rhododendron on your way side. Overnight at Chisapani in guesthouse. Day 02Chissapani to Nagarkot (2175 meter) 6- 7 hour walks The 3rd day of the trekking leads us to Nagarkot. It almost takes six hours from Chissapani to reach there. The way of Chauki Bhanjhyang takes nearly 3 hours of walk, then after you follow the charming way to Nagarkot. 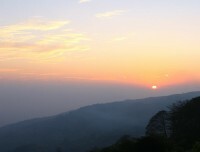 So finally you step up in the very much exciting place at Nagarkot (2175m). This place is liable to feed you full with its attractive view of the beautiful Himalaya range and the majestic peak all around.Overnight at nagarkot in guesthouse. Day 03Nagarkot to Changunarayan (1367 meter) to Kathmandu 5- 6 hour walks Changunarayan can be reached after making of four hours continuous walk from Nagarkot. The historical world heritage site, the uniqueness of the cultural and traditional aspect of the villagers wonders you and let you know some important information about them. As the diversifying natural views with beautiful wild creatures impress and inspire you the most on your journey. You also get there the typical houses, very small way, pagoda temples and the statues scattered all over your journey. Thus, being nearer to the capital city, it offers you the view of well stabilized and gorgeous towns that is lying on its lap. After exploring Changunarayan temple, we back to Kathmandu. Overnight at hotel in Kathmandu. Day 04Transfer to airport for your final departure!!! On this final day of your tour, our office member drops you at Kathmandu International Airport to catch your flight to return back your homeland.